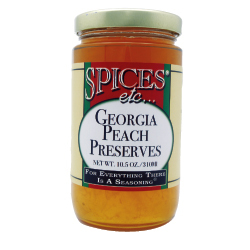 Georgia Peach Preserves Jam | Jams & Preserves | Spices Etc. My whole family enjoys these preserves. I grew up eating Georgia peaches. None can compare. This is the first time I have used this product. But like all of this company's producte it taste pure and fresh. It is outstanding. 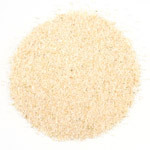 Like all of this company's flavoring products, this item has pure clean flavor! I have used their flavorings over the years, but this is my first time using their almond flavoring. It is excellent! the peach preserves was very good. I am a repeat customer. everything I have purchased over several years has always been excellent. This preserve is about perfect, not too sweet, lots of peaches, spreadable. Just very tasty! Delicious and husband likes them. 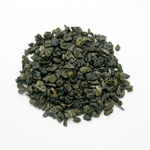 Perfect on homemade biscuit or an English Muffin. I've been buying the peach preserves for several years now and it's very good. Yummy stuff and it doesn't last long in the house and I'm the only one here. I love a good peach jam/jelly/preserve and this stuff is great. 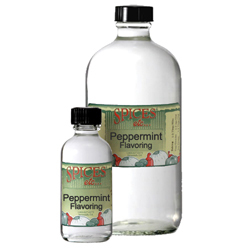 Peppermint Flavoring - 8 oz. 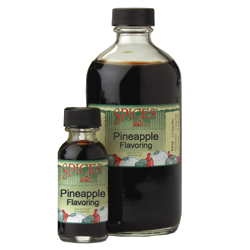 Pineapple Flavoring - 8 oz.